Enjoyed the shadows cast on the fence just several minutes before totality of what is dubbed to be the “great American eclipse“. It’s interesting how it created the effect of people’s heads in a crowd, exactly what was taking place across the country. I’ve had the privilege of viewing it from the backyard and thankful I didn’t have to drive far to see it. Just a few minutes before totality. I thought my camera created a chromatic aberration here with the purple ring but other people’s footage also showed purple. 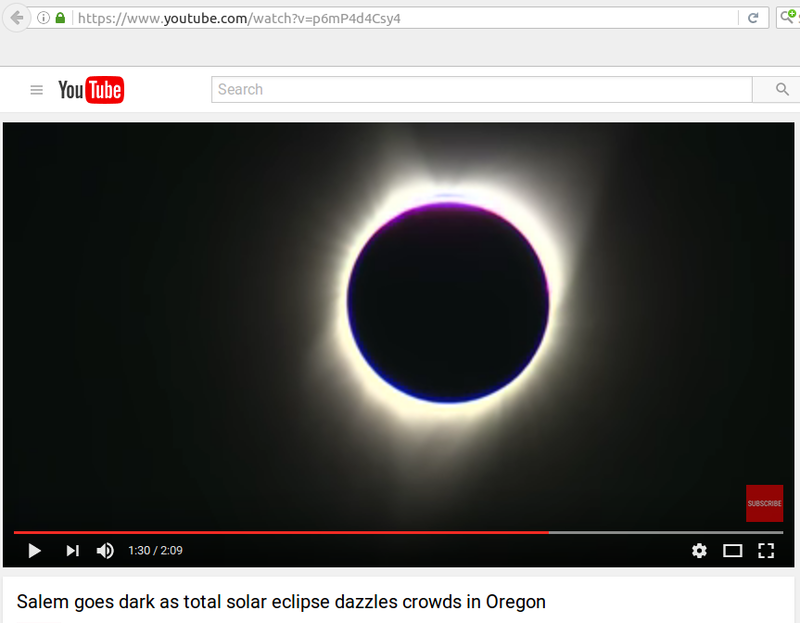 Less than 2 minutes to view a once in a lifetime occurrence of totality with a very limiting optical device, no zoom nor solar filter attached to the camera. Bummer! But, the event was spectacular and didn’t disappoint! Total darkness during daytime and experiencing the sudden drop of atmospheric temperature is something I’ll never forget. It certainly had an eerie feel attached to it as my son mentioned would make a great plot for a game where people who saw the eclipse would turn into zombies. It is interesting how scientists pick this particular day to send off balloons with bacteria resistant to antibiotics into the atmosphere. And a few minutes later… I wish I could rewind time to see it again. Life goes on and sad to say, back to the humdrum of societal chaos.